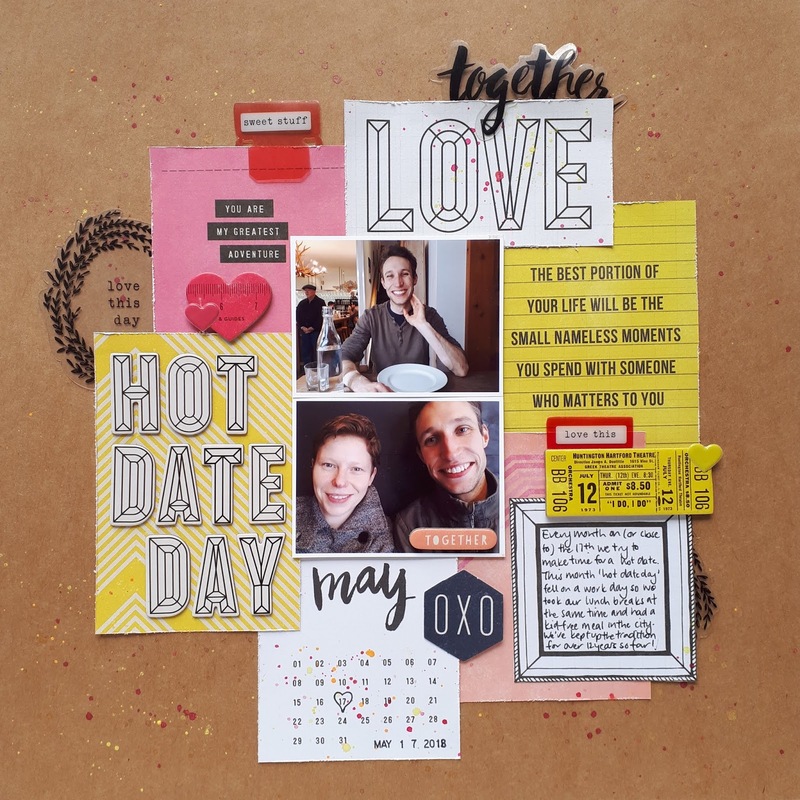 I thought this challenge was a good opportunity to document our tradition of making the 17th of each month a "hot date day". It's not always exciting or romantic (especially now that we have three young children), but my husband and I try to make time once a month to do something nice together. 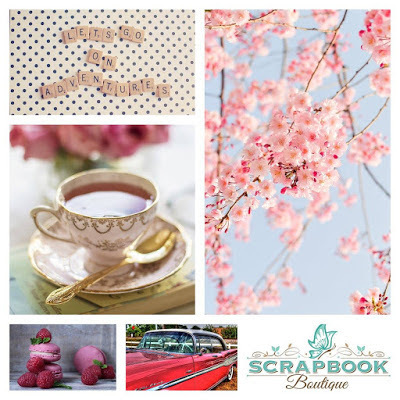 I've addressed the "date" criteria in three ways; the word "date" in the title, a mini calendar and a date stamp. I can't wait to see what changes are in store for the Kraft Plus challenge next month. Today I'm sharing my finished Ombre Gems quilt, which I made using a jelly roll of Ombre fabric by V&Co and the Ombre Gems pattern by Emily Dennis. I shared the finished quilt top a few weeks ago but I've since finished it up and am currently snuggled up underneath it. For the quilting I went with an overall sharp stipple. 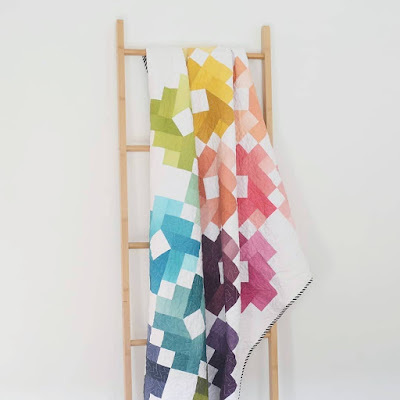 I really love this design; it's quick and easy to quilt, the irregularity of it allows you to easily avoid bulky points and it gives the finished quilt a really nice texture. 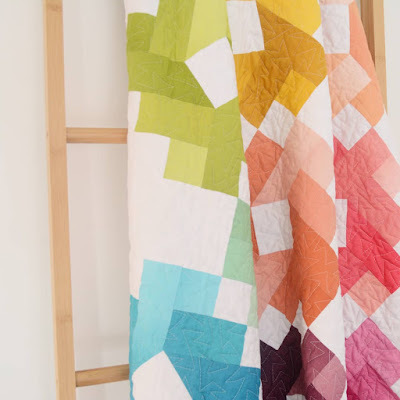 The multiple 'crease' lines also make the quilt really soft, like a piece of paper that has been crumpled up a heap of times. For the binding I couldn't go past a black and white stripe. This particular one is from the Handmade collection by Bonnie and Camille. 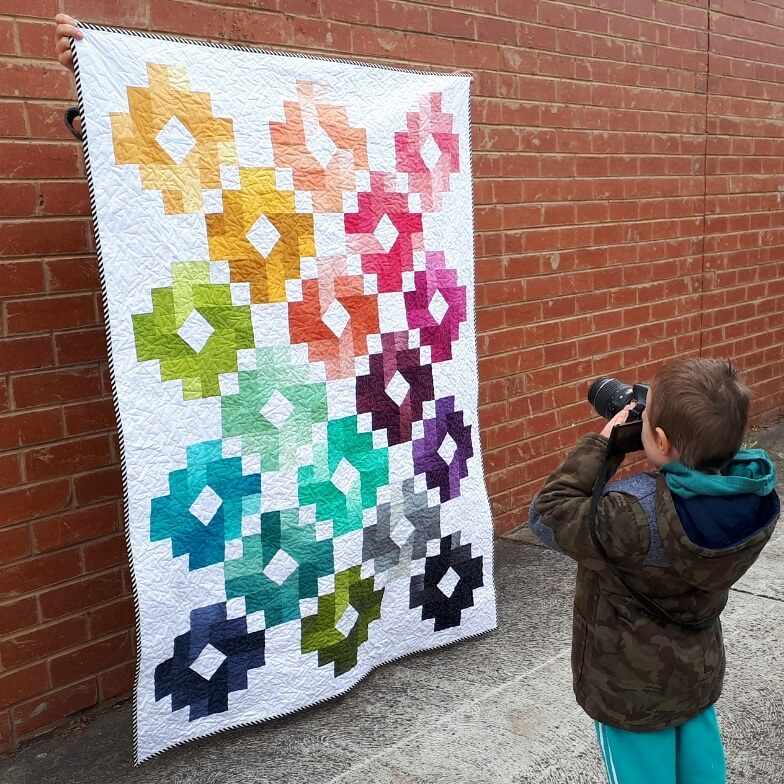 I tried to get some outdoor quilty photos while out walking with my family one afternoon. This time Mr. 5 decided that he would take the photos while I held the quilt. While none of his photos were keepers, my husband managed to snap this while wrangling two small babies and two large dogs. I'll link up with the 2018 quarter 2 finish along when it opens as this was on my list of proposed finishes for quarter 2. I'm so happy to have another WIP from last year finished. Only about 40 to go! 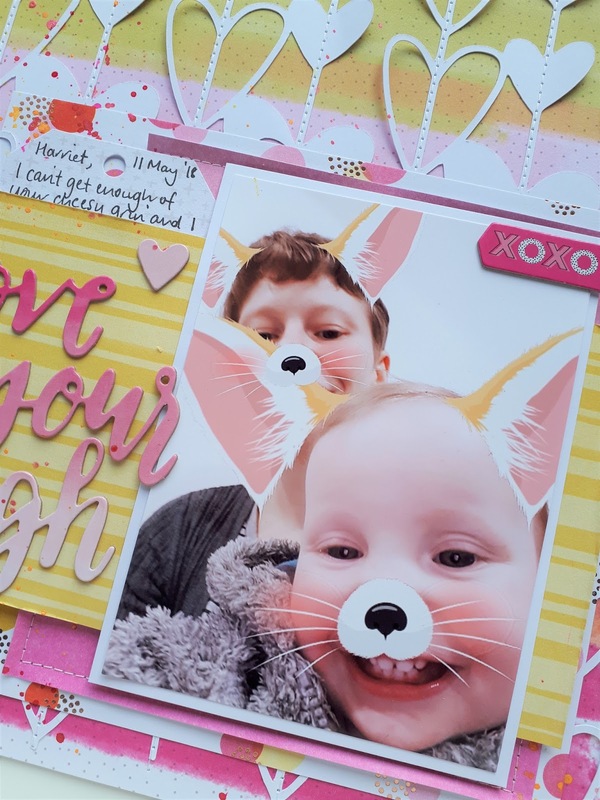 I'm back again, linking up another last minute layout for the National Scrapbook Day challenges hosted by the Cut Shoppe. The final challenge is layering with a cut file. 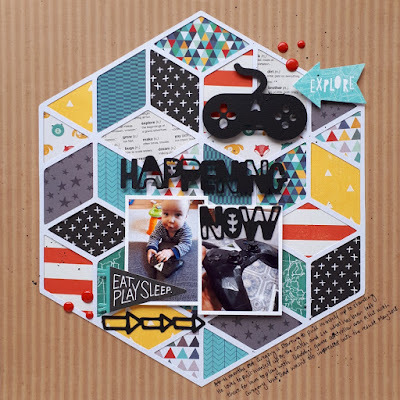 For this one I used three different cut files from the Cut Shoppe; Geometric Art; and Guy Stuff. Iused the Geometric Art cut file to make the patterned background. 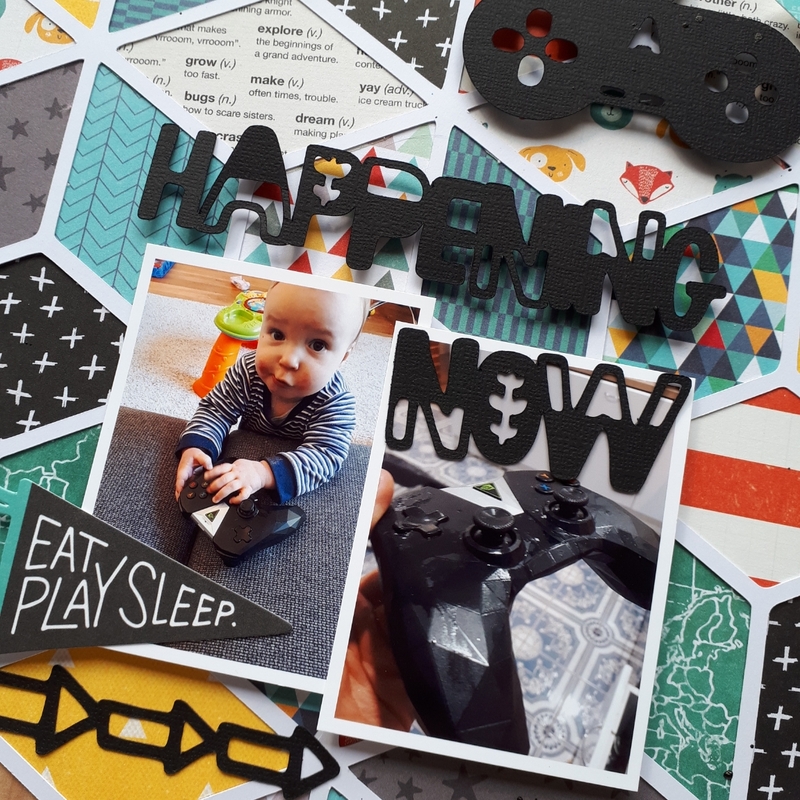 I'm really enjoying backing cut files with different pieces of patterned paper. 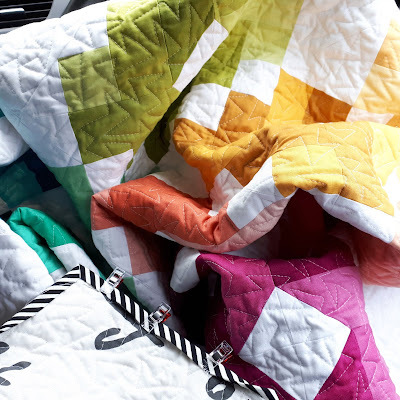 It feels almost like making a quilt - but much faster. I also used the What's Happenin' and Guy stuff cut files to make the title and some of the embellisments. The controller share was perfect for these pictures. I've now finished all the NSD challenges (with less than an hour to spare!). My cutting machine has seen more use this week than it has all year, and I can't wait to use it some more. I was inspired by the colour scheme of pinks, reds and gold to scrap a silly photo of my daughter and I. I found some paper from the Paige Evans Oh My Heart collection that matched the colours and went from there. I added a cut file to the background (the free Heartbreaker cut file from The Cut Shoppe) to give the layout a delicate touch (inspired by the delicate flowers) and added some machine stitching down the centre stems of the cut file. 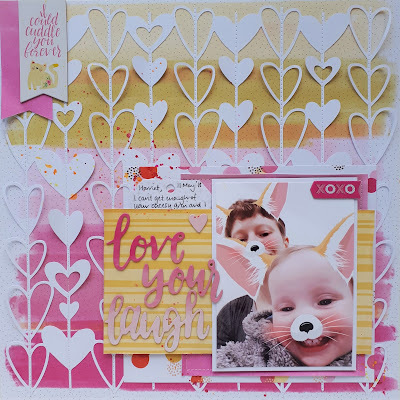 I love how it allowed me bend up the sides of some of the hearts and give the layout some more dimension. I'm loving the look of pink and yellow together and might have to revisit this colour scheme again - perhaps as a quilt. 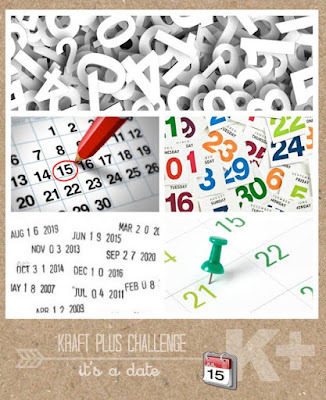 I'm linking up with the Elm Street Quilts May One Monthly Goal and sharing my goal for this month. It's actually recycled from my OMG from March 2017 (which I didn't achieve). 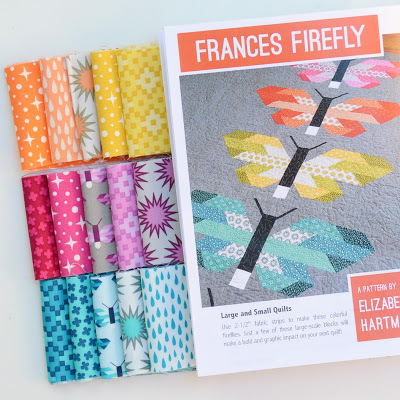 This month I hope to make two Frances firefly quilts for my son and daughter. I had hoped to make them before they were born, but ran out of time. So, this month I'm hoping to have them done for their first birthday. It's hard to believe that they are almost a year old already. How time flies!